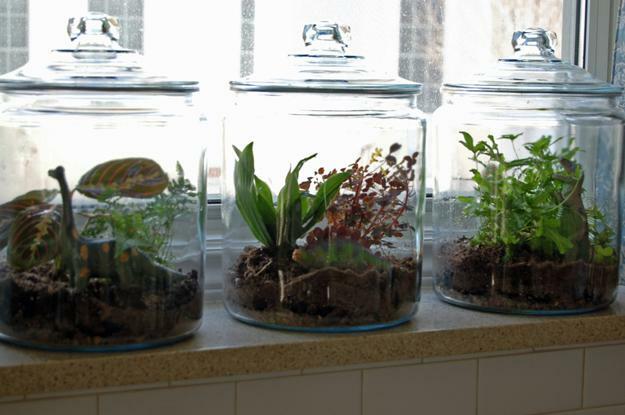 Terrariums with small plants and ideas for decorating with glass work well together creating beautiful home decorations in eco style. 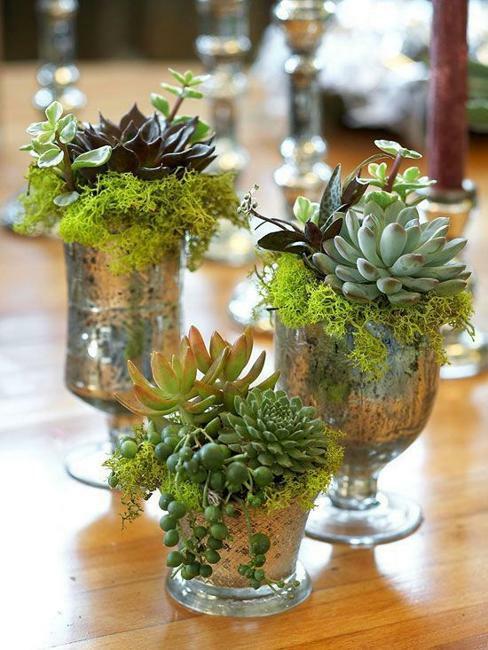 Green accents are delightful and stylish. 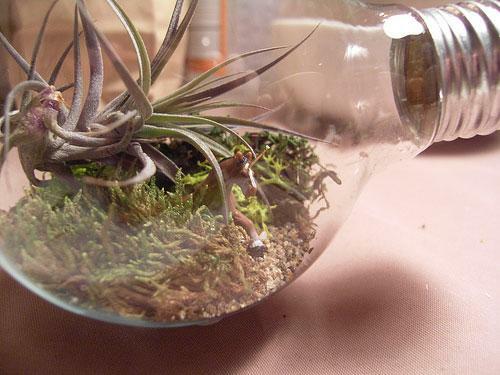 Here is modern terrariums and inspirations for DIY designs. 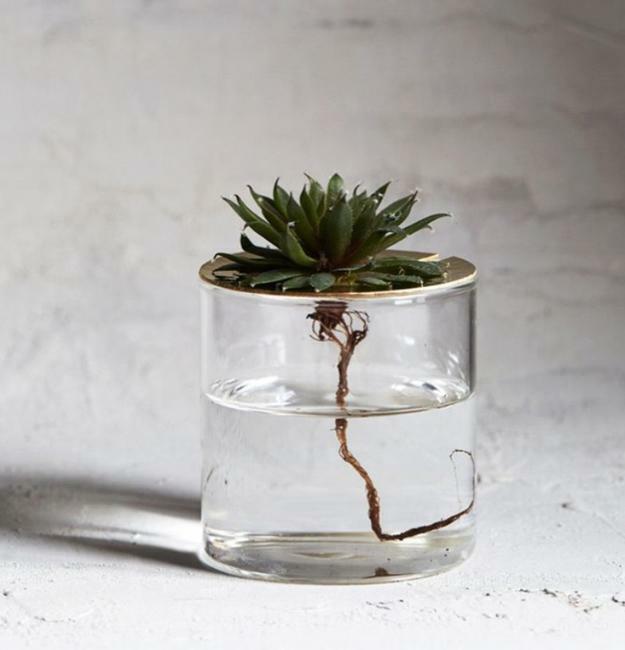 Check the Lushome collection of glass terrariums looking for elegant and attractive design ideas for your next DIY project. 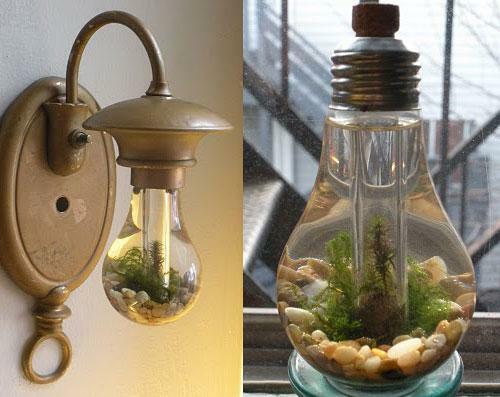 There are many pre-made terrariums with indoor plants, but recycling glass items for original designs are fantastic Green ideas also. 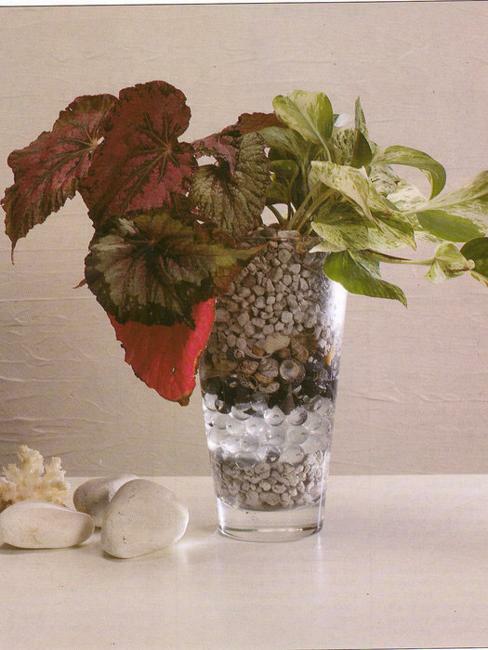 Attractively arranged small houseplants look beautiful inside clear glass vessels of all shapes and sizes. 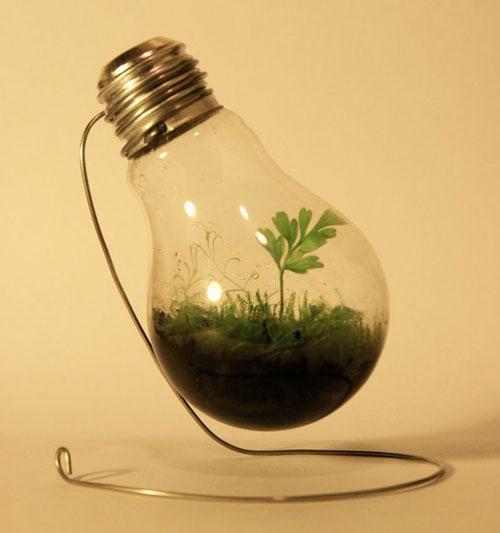 You can reuse and recycle old glasses and jars, clear glass vases and bowls. 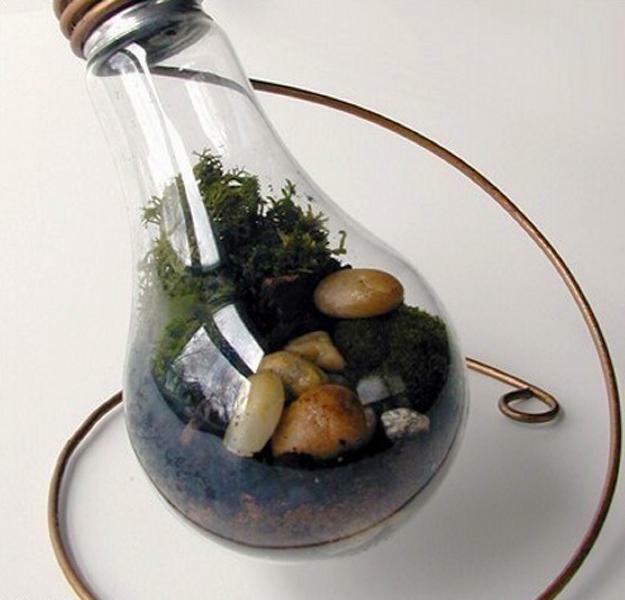 You can design unique terrariums and use them as eco gifts or Green table decorations. 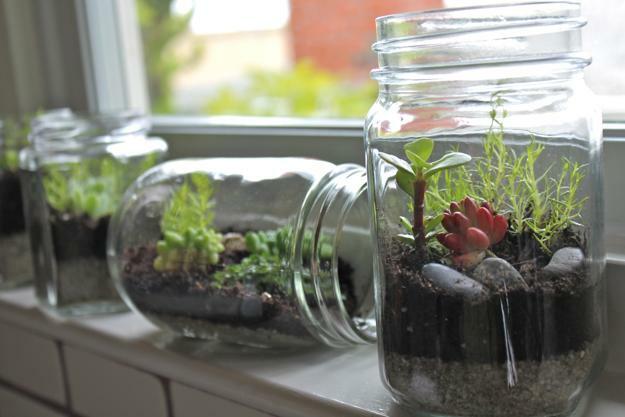 Each terrarium design is personalized and looks like a tiny little garden or a piece of modern Green art. 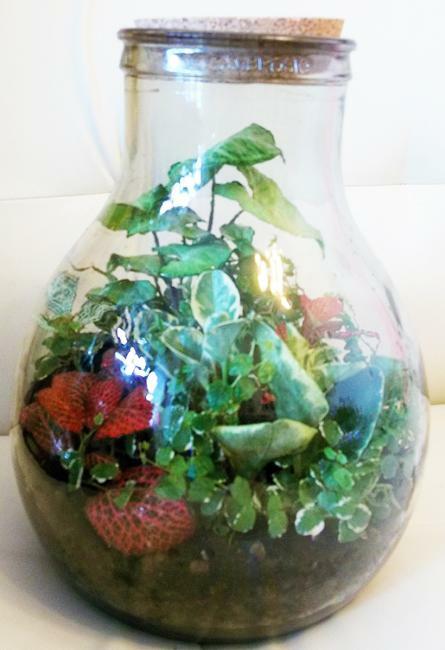 Small plants add a peaceful vibe to home decorating, and green leaves remind of lush vegetation of tropical forests. 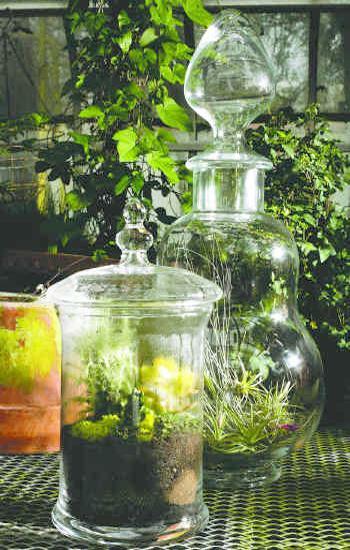 Charming greenery is accented by the graceful shapes of the clear-glass vessels and original, exclusive, and attractive designs. 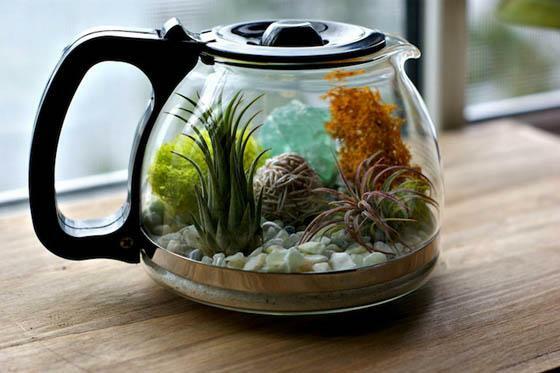 Glass items, rocks, colored glass, sand, driftwood, and small houseplants blend into spectacular Green accessories made of old coffee pots, glass bowls, and vases. 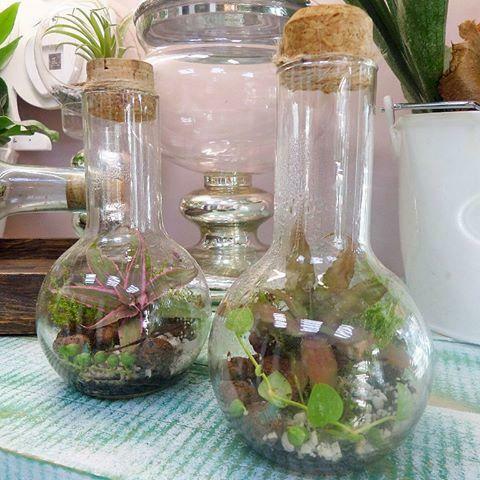 The terrariums with indoor plants offer a wide range of possibilities to enhance your interior decorating in the creative, original, and Green way. 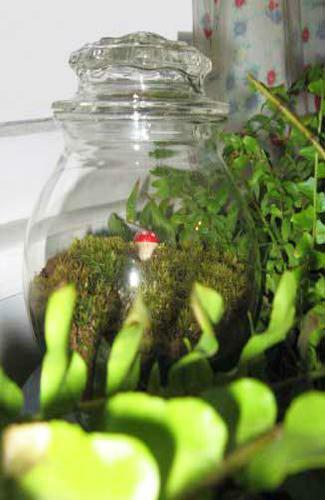 Terrariums are fun to have any time of year, but the creative designs look especially cute in winter and spring. 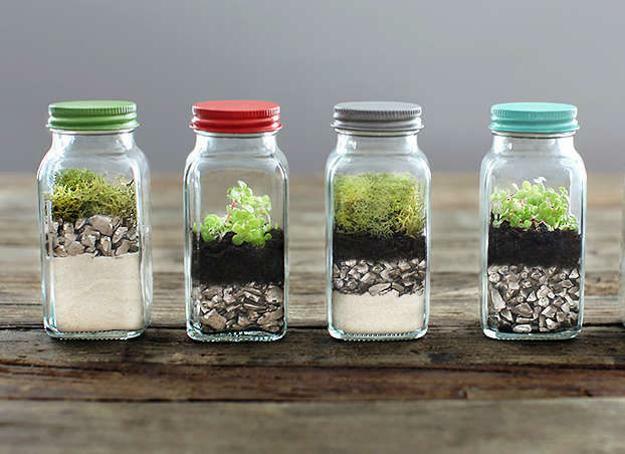 Perfect for everyday and holiday decor designer terrariums and DIY miniature gardens look timelessly stylish in any room. 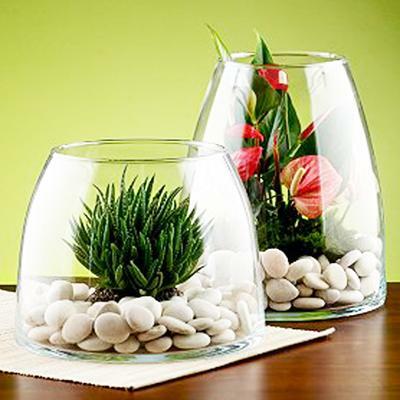 Shapely glass vessels and miniature garden designs make fantastic, versatile, and eco-friendly home decorations. 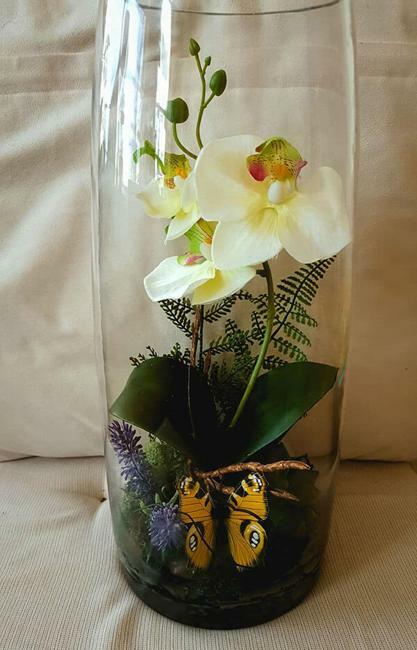 Glass terrariums are the elegant and unique way to display indoor plants in your home and give your room the Green touch of nature. 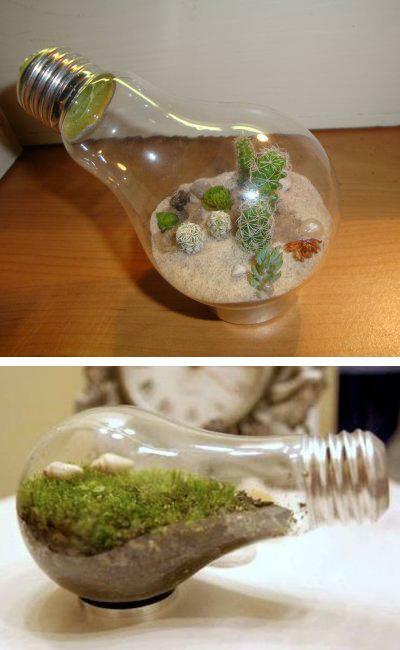 They are decorative and practical. 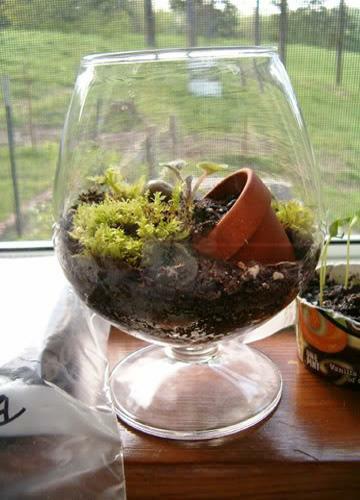 Small houseplants, cacti, succulent, and little blooming plants grow well in old glasses, bowls, glass jars, and vases. 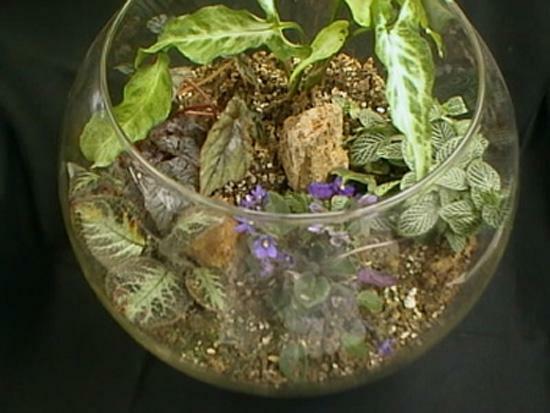 Enclosed in a container the little plants feel protected and look healthy and beautiful.